Sigh. It looks like someone forgot that April 10 is actually a major anniversary in their own life. 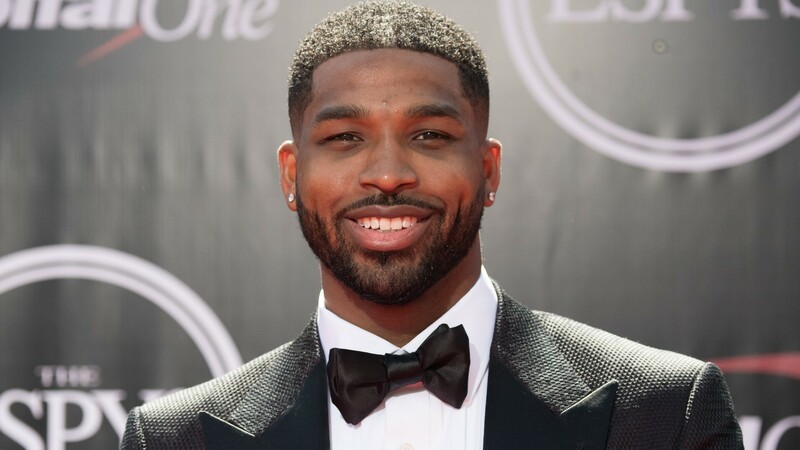 To be fair, we are not at all surprised that Tristan Thompson posted a tone-deaf Instagram on the anniversary of his cheating scandal. What we are surprised by is the fact that he is just letting the post exist on Instagram and, even worse, he’s monitoring the comments section so only positive comments get through. Per Cosmopolitan, Thompson posted an Instagram on Wednesday that showed him hanging out on a balcony somewhere in Canada, acting like it’s totally not a big deal at all that one year ago he was allegedly making out in public with another woman. Video of his infidelity was released by The Daily Mail just two days before Khloé Kardashian went into labor with their daughter, True, with TMZ later reporting that Thompson left a hotel with that same woman. The outlet also published a video of Thompson getting frisky with two other women in 2017 when Kardashian was three months pregnant. All of this context around the timing of Thompson’s photo is all the more mind-boggling. Honestly, how can Thompson just casually post a solo photo of himself in Canada, days before his daughter’s birthday, seemingly acting like everything is okay in the world? Is he just committed to staying on-brand as a huge jerk? Or is he trying to act like it’s not a big deal? It would seem that Thompson is all about the latter because Cosmopolitan points out that the comments section of his selfie is curated to show only positive comments. What a cool way to spin this in your favor, Thompson. It’s worth mentioning that allegations of Thompson’s cheating ways resurfaced with a big bang this year. As recently as February, Thompson and close Kardashian-Jenner friend, Jordyn Woods, were embroiled in a cheating scandal after they attended the same afterparty at Thompson’s house. Claims the two were getting close leaked, with further allegations the pair were kissing or got physical coming out shortly after the initial news broke. Unfortunately, the cheating allegations and public scrutiny all came down on Woods’ head and she was forced to defend herself on Jada Pinkett Smith’s Facebook Watch series Red Table Talk. Meanwhile, Thompson was able to fly under the radar, seemingly unscathed by any kind of backlash. All we know is we’re going to pour one out for Kardashian this week. She’s going to need it.